Who were the best dynasty buys last off-season? We look back on our predictions. 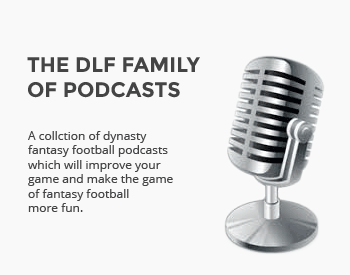 We’ll continue our retrospective by taking a look at our picks for Best Dynasty Buy. 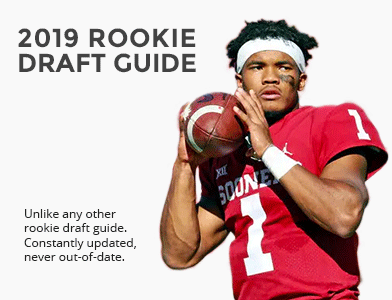 It’s funny how a pick here from Olinger was really more about next year – but it paid off for owners this year. We talked about the Le’Veon Bell in the Best Dynasty Sell article, and that situation applied once again here. Nobody saw that coming, including Eric here, but it worked out all the same. If you bought Conner at his off-season price, you laughed all the way to the dynasty bank. I was the beneficiary of two trades that ended up helping me significantly this year. Made them both last season though. Traded J Howard, Riddick, Maclin, and a couple of 2nd round picks for Juju, what ended up being the 1.4 this year, and the 2018 pick 11. Also made the trade last year for James Conner (as my Bell handcuff) and gave up Yeldon to the team that has Fournette. Both trades seemed smaller at the time than they actually were for me. Managed to buy Nick Chubb in week 5. It cost me D. Baldwin, but it was a move I was thinking could pay off in 2019. The fact it paid off a couple of weeks later was a nice bonus. This won’t be popular lol, but I’m trading for Crowder everywhere I can and he’s damn near free. He had an off year last year, but he’s only 26, a *potential* FA, and very productive when healthy. You can get him for almost nothing and / or a throw in on with some other player. I think buying the number 1 pick now might be smart. If Daniel Jeremiah has Jacobs top 10 it’s probably from talking to multiple scouts and GMs. If he goes top 10 there’s no way he isn’t 1.1 in dynasty.